Through its excavations in Abusir archaeological Cemetry at Giza, the Czech mission discovered the tomb of Shepseskaf ‘ankh, Head of the Physicians of Upper and Lower Egypt who dates to the Fifth Dynasty of the Old Kingdom. 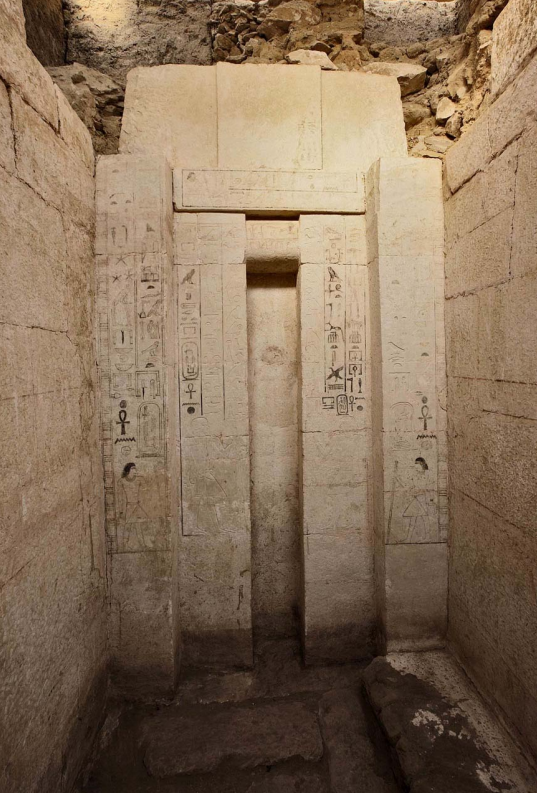 This is the third tomb of a physician to be discovered in Abusir Cemetery. The importance of this tomb lies in the importance of its owner who is one of the most distinguished physicians of the Pyramids builders Era who were in close relation with the kings as Dr. Mohammed Ibrahim clarifies. Ali ALasfar, vice head of the Ancient Egyptian Sector said that the tomb is among the “huge” tombs for its lengths are 21x14 m. and height of 4m.. The walls were constructed from limestone. 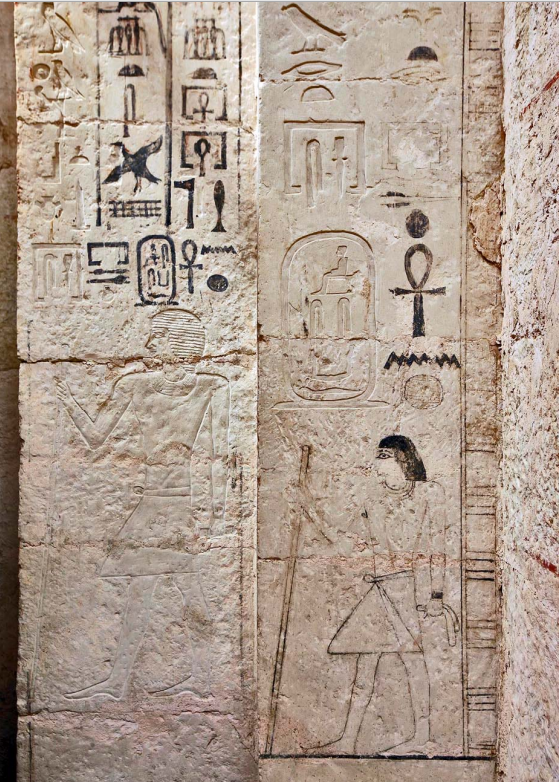 A huge false door inside the offerings’ chapel was discovered in the eastern part of the tomb and it carries the names and titles of the tomb owner like “Priest of Re in the Temples of the Sun”, “Priest of Khnum” and “Priest of Magic” in addition to other titles that show the high social and official status that he obtained inside the kingdom as one of the most important royal physicians in Ancient Egypt. 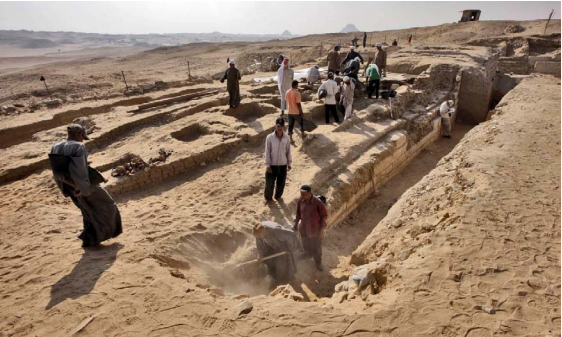 The Director of the mission, Miroslav Barta, stated that the individuals tombs in Abusir were constructed starting from the mid 5th Dynasty and many priests and officials who worked in the Pyramid complex of the 5th Dynasty Kings of Abusir and the Sun Temples were buried there.